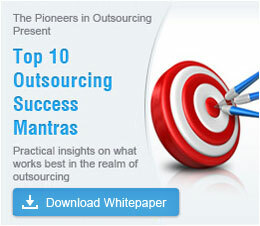 Change is challenging, and managing it effectively in an outsourcing engagement is even more complex. 78% of businesses cited disruption of business as the main reason when deciding not to outsource (survey by London School of Economics Outsourcing Unit). The concern is justified, as efficiency in transition of people, processes, and technology during the initial stages of outsourcing influences the future of the engagement. A poorly conducted transition can have severe financial, operational, and relationship ramifications, not to mention the time wasted. Outsource2india understands the need for a well-orchestrated transition in order to achieve optimum quality with minimum disruption of work. Offering outsourcing services for over a decade, we understand where most service providers go wrong, which is why our 8-step transition management process is elaborate and all-inclusive. During the project planning phase, we deploy an experienced transition team which includes a transition manager, a project manager, a technology manager, and a training/HR manager. This team plays a pivotal role and takes the initiative to comprehensively understand the processes to be migrated, and classifies all the requirements. The team is extensively engaged with the client's stakeholders at all levels and leaves no stone unturned to gather all the information related to resource requirements, process transition activities, training needs, and so on. Each enterprise has a complicated, heterogeneous set of processes and technologies. Successful transition requires comprehensive documentation of all processes — standard as well as non-standard. At this step, our transition team also identifies various gaps in the processes and makes necessary suggestions to improve them. A documentation sign-off is obtained from the client's stakeholders. Using popular project planning tools, we build an extensive drill-down of all transition-related activities, along with timelines, participants, workflow, SLAs and reporting needs for each activity. Six Sigma tools are used to improve the overall effectiveness of the project. Based on the requirement analysis, an infrastructure is built at our end that comprises the right technologies, systems, and people. All the relevant training for the client's processes, tools, and culture is imparted to the selected team and the trainers. All the parameters are scrutinized and a test-run is conducted to validate the technology and process stability. Necessary adjustments are made and client's approval is received for "go-live". Extensive quality monitoring, coaching, and daily data integrity checks are done during the initial phase, and detailed reports are sent to the client. The team is slowly ramped up to meet the actual workload. The team follows a task-oriented approach to ensure compliance and consistent performance. The status of all the activities is kept on an online dashboard for anytime access by the client. We constantly look for areas where efficiency can be improved and gaps can be filled. Knowledge is gathered and systematically stored for easy access to existing and new team members. When you outsource to O2I, you can be assured that your customers are getting similar or better levels of service. Our vast transition management experience, automated systems, fool-proof documentation, and simplified approach result in minimizing the time required for transition; hence businesses can start generating ROI faster from their outsourcing engagements with us. How you start will define how rewarding the process will be. With O2I's consultative approach, and tested transition management process, migration of business activities becomes hassle-free for your organization, and sets the foundation for a successful outsourcing engagement.